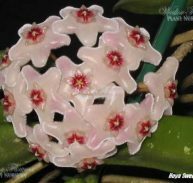 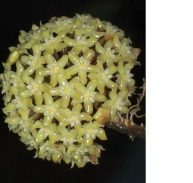 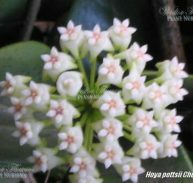 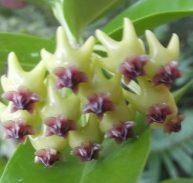 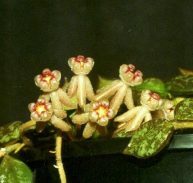 Hoya cv. 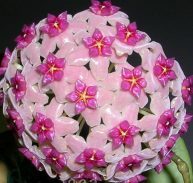 DS 70 syn. 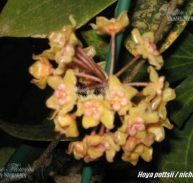 Honey Dew is a member of the Asclepiadaceae family but its origins seem to be somewhat of a mystery. 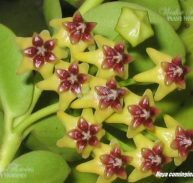 The flowers are deep red and tipped with yellow in clusters all along the branches. 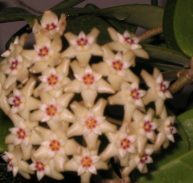 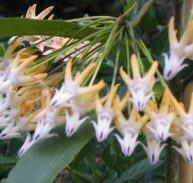 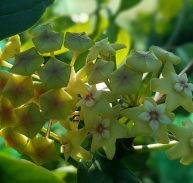 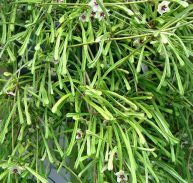 They appear for most of the year and have a light fragrance. 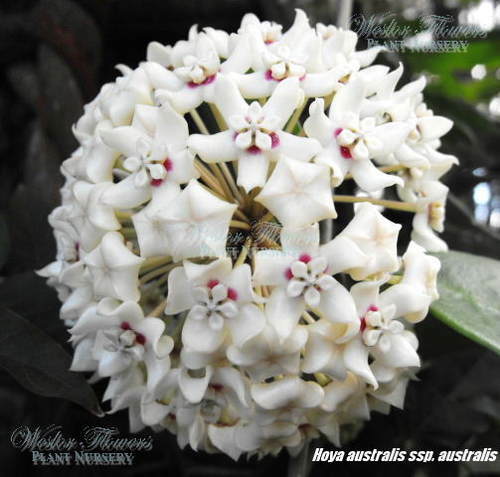 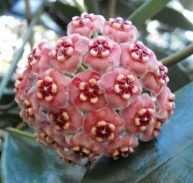 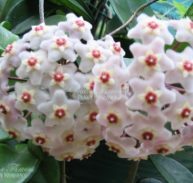 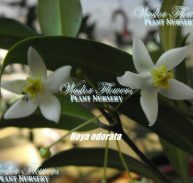 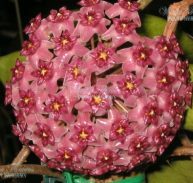 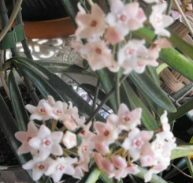 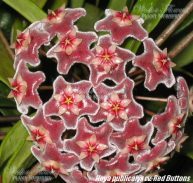 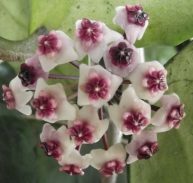 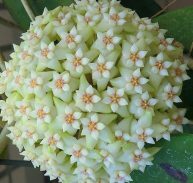 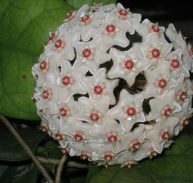 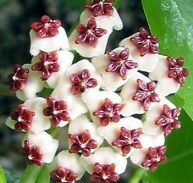 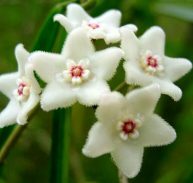 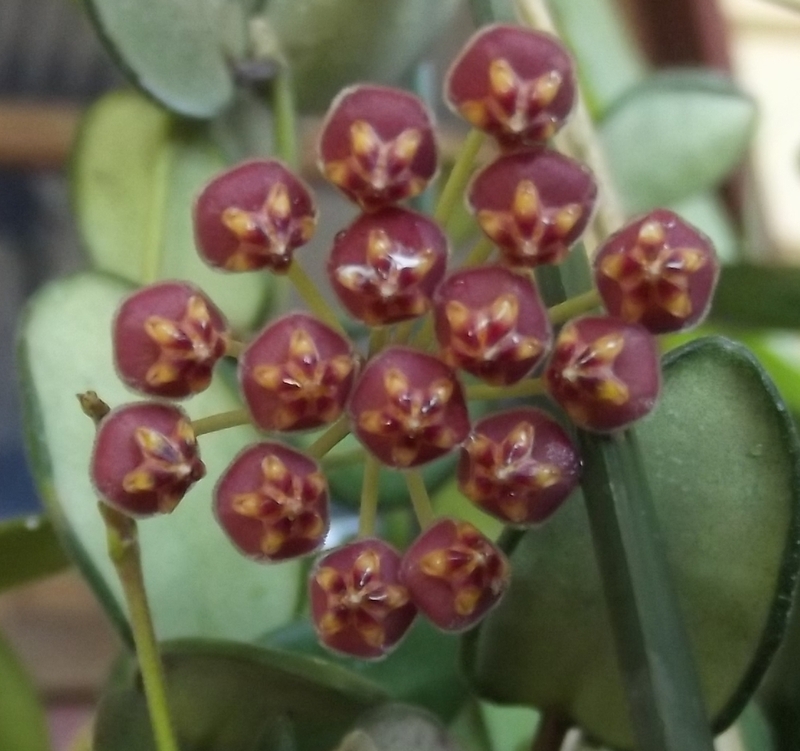 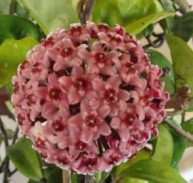 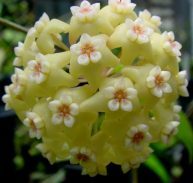 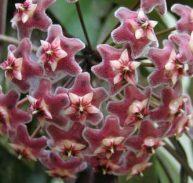 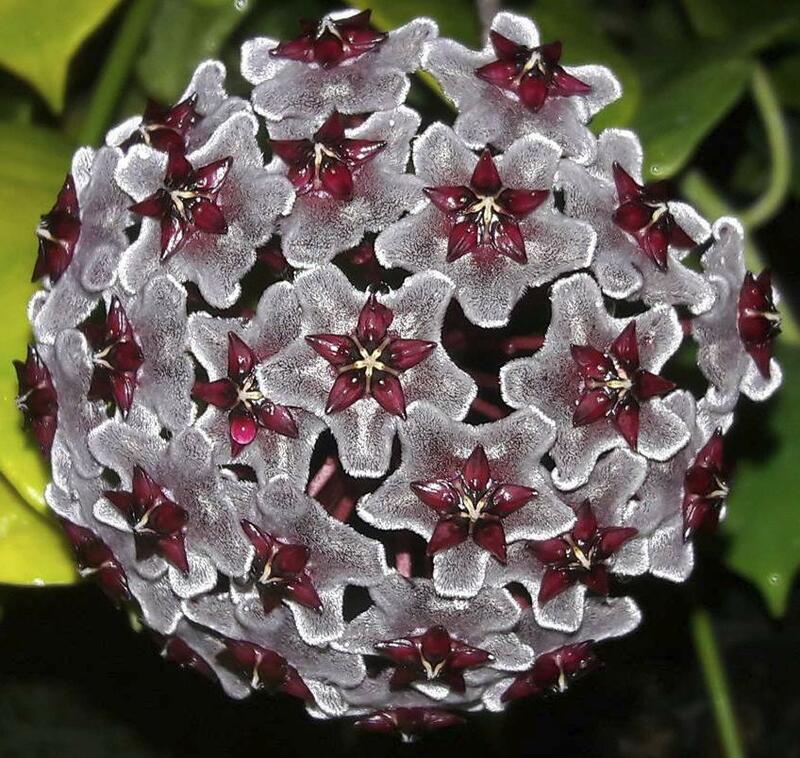 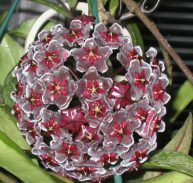 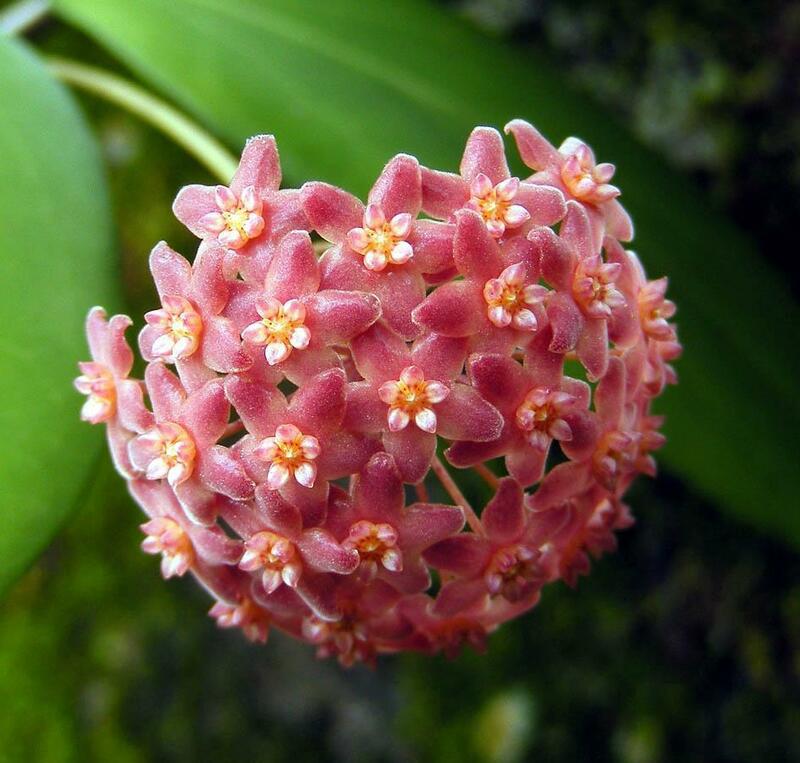 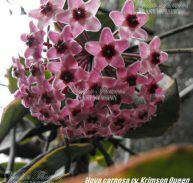 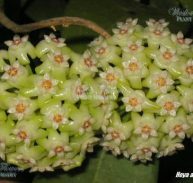 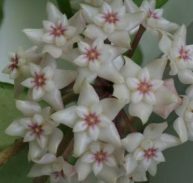 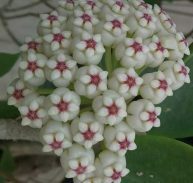 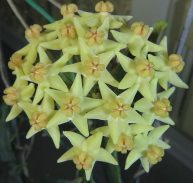 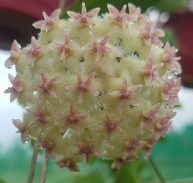 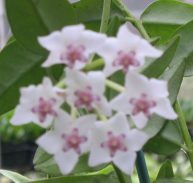 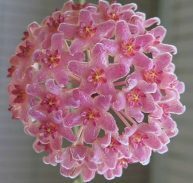 THIS IS A BEAUTIFUL HOYA ENJOY!